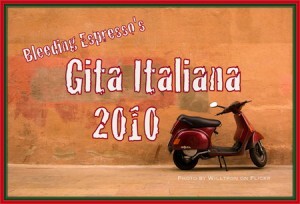 Welcome to our first stop on the Gita Italiana 2010! Today we’re hanging out in Alghero, Sardinia with my friend Keren Bensoussan of The Road Less Travelled. After having travelled all over Italy, I was finally called to Sardinia, Italy’s island famous for its emerald sea. I was offered work so I accepted, but not after seriously questioning how long I could survive on an island. I am a city girl after all, but the airport was only 15 minutes away, and that sealed the deal. A week later I ran into my landlord. I told her that everything was fine but that something was different and I couldn’t put my finger on it. She said this with a glint in her eye. “… well … what is it?” I asked her. “Non c’è criminalità,” she answered. Certainly petty crime exists, but there is no “hard” crime like murder. I stood there sort of speechless, reflecting on what she said and I suddenly understood: When people feel safe, they are kinder towards one another. Which basically means that you don’t need to be on the defensive, and you don’t have to worry about being “straniero” (foreign) because they welcome foreigners with open arms. Sardinians are known for their generosity, sincerity and simplicity. When my teaching contract ended my students took me out for pizza and bought me gifts. It was a lot of pizza and a lot of gifts so I asked, “why?” They told me that it was a tradition that began in the past when it was a great honor to have visitors arriving on the island. Sardinians will open their home to you, treat you like family and embrace you without expecting anything in return. It’s simply their way. Sardinia is also the oldest land in Italy. In fact, I don’t really feel like I live in Italy here because they have their own language (Sardo) and their own history. “Il continente” (the mainland) is more like Fellini’s “La Dolce Vita” while Sardinia is humbler and simpler. When you get here all you really have to do is relax and be yourself. But like “il continente,” Sardinia differs from place to place. I have visited many towns and cities, all very interesting, but have found that Alghero, “the gem of Sardinia” is truly special. Perhaps it’s the fact that it’s a port town that has greeted many tourists has something to do with it. It is more open-minded. Perhaps it’s the fact that it has a strong Catalan influence that gives it an exotic edge. Or perhaps it’s the strong Sardinian values that are instilled in a population that has had to survive on a separate piece of land- pulling together and developing trust and honesty amongst themselves so they could thrive and live in peace with each other. A Sardinian friend told me that in his village, in the past, doors didn’t have locks on them. When someone arrived, they entered and were welcomed just the same. I have woken up in some Italian cities with the sound of church bells banging in my ears (bing, bang, bong go the church bells at 7am) but here in Alghero, it’s a lullaby, sweet and gentle, like the people. Just another thing I love about Alghero. When my contract ended I left Alghero but decided to return. A sweet Sardo convinced me to open a Yoga B&B with him and I agreed. Keren Bensoussan is originally from Montreal, Canada. She has been living in Italy since 2007 and teaches ESL and Hatha Yoga in Alghero. Be sure to come back tomorrow when we’re headed to the Aeolian Islands from Calabria! 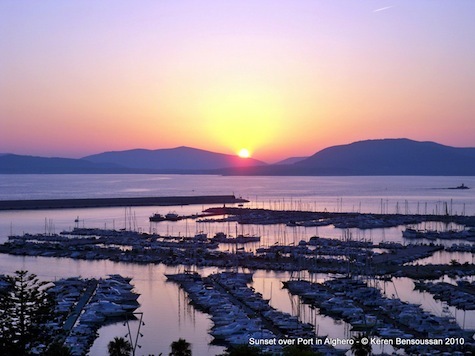 Time to add Alghero to my itinerary! Sounds wonderful! 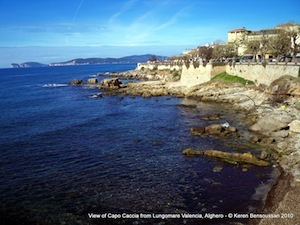 I have been to the Cagliari area of Sardinia, but missed out on Alghero. Another reason to return. Hahaha classic! Thanks for sharing! I don’t believe we’re making a stop there this time, but that just means another gita! I was in Italy a couple of weeks ago and when I see this post I just long to go back. Sigh. I like what you explain about the tradition of hospitality – so wonderful to welcome everyone. Thanks for coming by, Mary-Laure! Ah, just another reason to visit this island about which I’ve heard only good things. I’ve met only two people from Sardinia, but they were as warm and friendly as you described. Thanks for this lovely glimpse into the island. This sounds absolutely idyllic. So nice to know there is some place this warm, friendly and crime-free. I’m glad you’ve found such happiness there. Reading this post brought back some nice memories. 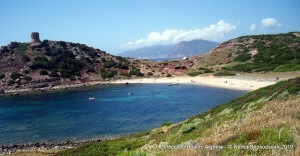 Sardinia is paradise and I long to return. Sardinia has always looked so beautiful and exciting to me! Thank you all for your thoughts and feedback on Alghero! It’s great to hear that some of you have experienced its magic. It’s truly a wonderful place to visit and I hope you will all have the chance to make the trip someday! There must be something to island living that causes people to be more friendly. I’m from Hawaii, where the Aloha Spirit is legendary. And now I’m living in Kuching on the island of Borneo, where I’ve found the same kind of open friendliness. 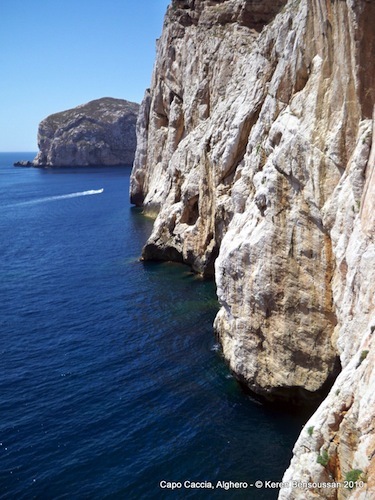 Sardinia is a beautiful place and I hope to visit one day. As for the island thing, maybe you’re on to something… I lived in the San Juan Islands of Washington State and found them to be very friendly and community oriented. Thanks for coming by, Tui!